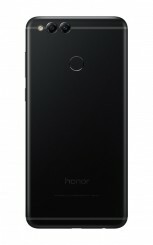 Huawei is the latest manufacturer to join the 18:9 ratio hype with its subsidiary brand Honor after plenty of companies keep introducing phones with tall screens. The Honor 7X was just launched in China and we already have first-hand impressions of the device. 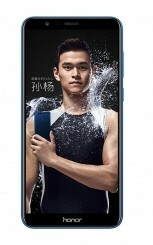 Huawei has upgraded the chipset compared to the Honor 6X and there is a Kirin 659 ticking inside the new device. It's not a high end chipset, mind you. Performance-wise it should be quite similar to the Kirin 658 as seen in the popular mid-ranger Huawei P10 Lite. 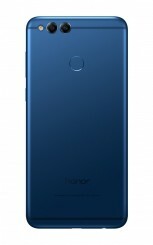 The screen on the Honor 7X is also visibly different from the Honor 6X's - now it has 18:9 ratio and 2160 x 1080 pixels for resolution, or Full HD+ as some already call it. The cameras are still dual but positioned in a horizontal setup. Some might say they even look like Minion eyes. Huawei is not rushing with ditching the headphone jack, it's still down there. 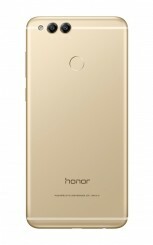 Looks like quite the improvement from the Honor 6X. Check out our initial thoughts after the first hands-on experience on the next page. No...The honor 7x doesn't support and also gyroscope.